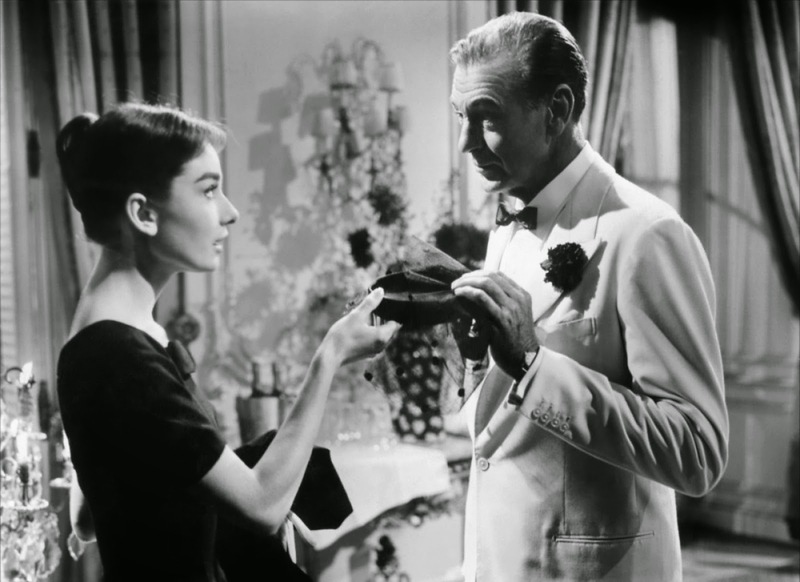 A spring - winter romance, Love In The Afternoon is talkative and static, but still manages to shine thanks to a radiant Audrey Hepburn and a congenial Maurice Chevalier. Claude Chavasse (Chevalier) is an elderly private detective in Paris, typically hired to prove infidelity. 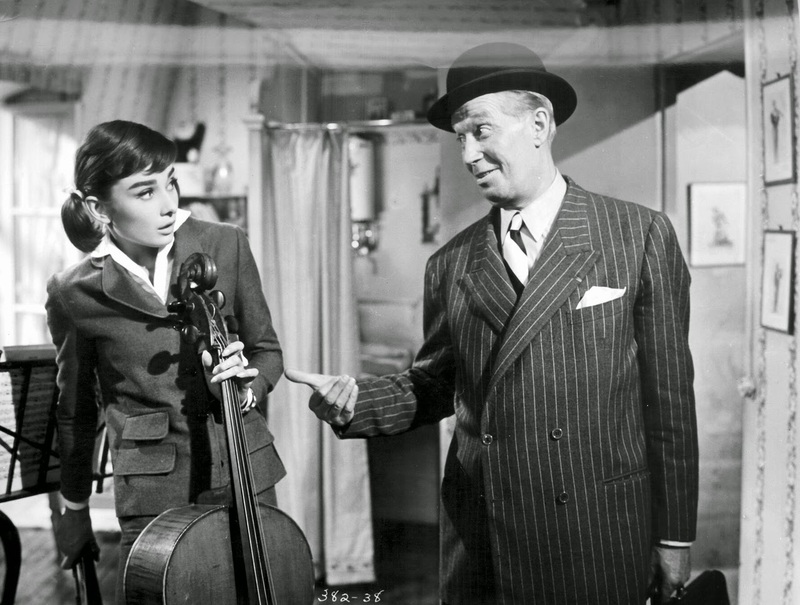 A widower, Claude lives with his daughter Ariane (Hepburn), an aspiring cellist with a inquisitive disposition who does not hesitate to rifle through her father's files. Claude's latest client is Monsieur X (John McGiver), and sure enough Claude uncovers Madame X having a liaison with rich American businessman and renowned philanderer Frank Flannagan (Gary Cooper) at Frank's Ritz Hotel room. Monsieur X claims that he wants to catch his wife in the act and shoot Frank. This horrifies the eavesdropping Ariane, and she sets about to intervene. Monsieur X: Please, monsieur, is the news good or bad? Monsieur X: It looks like her. Claude: Then I regret to inform you that it looks bad. Monsieur X: Then there IS another man! Claude: There is. And I regret to say that he looks good. Ariane does save Frank, there is an immediate attraction between them, and they start to see each other regularly at Frank's hotel room, always in the afternoon. But Frank is a high flying businessman with a lover in every city and no intention of settling down. Ariane is a romantic looking for her dream man, but to make Frank jealous, she creates the illusion of also having numerous lovers. It's a dangerous game, as Frank is well set in his womanizing ways, and Ariane's heart is deeply set on Frank. Cooper was 56 years old at the time of release, and only four years away from his untimely death. Hepburn was literally half his age at 28. As in the quote above, the script tries to insist that Cooper is a handsome devil, but unfortunately he was not a leading man who was able to camouflage his age in later years. He carried every one of those 56 years, creating a central problem for Love In The Afternoon. As much as Frank Flannagan is a successful jet-setting businessman, Ariane is simply too smart, practical and resourceful to immediately fall for a man who could well be her elderly uncle. Any chemistry between the two quickly smells foul. Past the troublesome age difference, the film is a romance based on a lot of talking in just the two locations. Director Billy Wilder, who co-wrote the script with I.A.L. Diamond, is rarely able to break away from Flannagan's hotel room and Claude's apartment, which doubles as his office. With a running length of 130 minutes, a sense of claustrophobia is unavoidable. Since Love In The Afternoon is based on a novel (Claude Anet's Ariane, Jeune Fille Russe), and not a stage play, the inadequate variety in settings is a sign of either a lack of imagination or budget limitations, or both. But despite the shortcomings, the movie does work better than it should. The dialogue exchanges are sharp, Wilder and Diamond, who would go on to collaborate on a total of twelve films, finding frequent zingers that comment on everything from Paris, to shady business, and the airiness of love confronting the practicality of lust without commitment. Ariane's one strategy to gain Frank's attention is to hold up a mirror and talk his walk, pretending that she behaves as he does, arousing intense jealousy as Frank finally has to confront the emptiness of a life full of women but lacking the one woman. It's the film's central hook, and it works beautifully thanks to Hepburn's seductively intellectual approach to her quest. 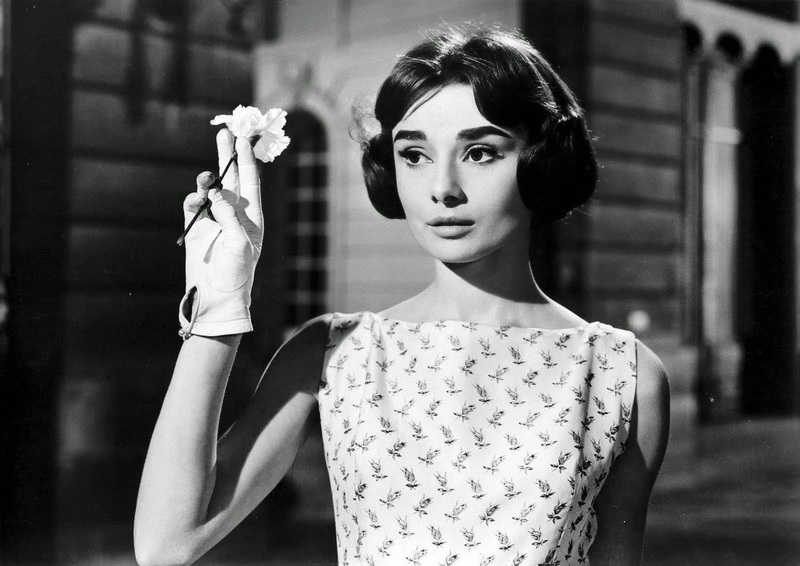 And Hepburn is the film's main asset, displaying her coy appeal, giving Ariane a delightful spirit of level-headed rebellion mixed with insecurity. Frank: Everything about you is perfect. Ariane: I'm too thin! And my ears stick out, and my teeth are crooked and my neck's much too long. Frank: Maybe so, but I love the way it all hangs together. Even with Hepburn in top form, Chevalier steals every scene that he is in, creating in Claude Chavasse a memorable father pretending to still have some control over his daughter while knowing full well that she is off on her own, enjoying new adventures inspired by his own detective work. Ariane: Papa, you are a cynic! Claude: I guess I am. Ariane: You enjoy your work! Claude: I guess I do. Ariane: You'd enjoyed it even if you weren't paid for it! Claude: I wouldn't go that far. The one recurrent elaborate gag running through Love In The Afternoon is a good one: Frank has a musical foursome known as the The Gypsies at his disposal, and they follow him around on his travels providing musical accompaniment to his numerous trysts. The Gypsies provide the film with dry humour and an entertaining musical score, although Fascination is eventually overused to distraction. Love In The Afternoon is an imperfect but still enchanting romance, celebrating love's ability to overcome and soar, any time of day.